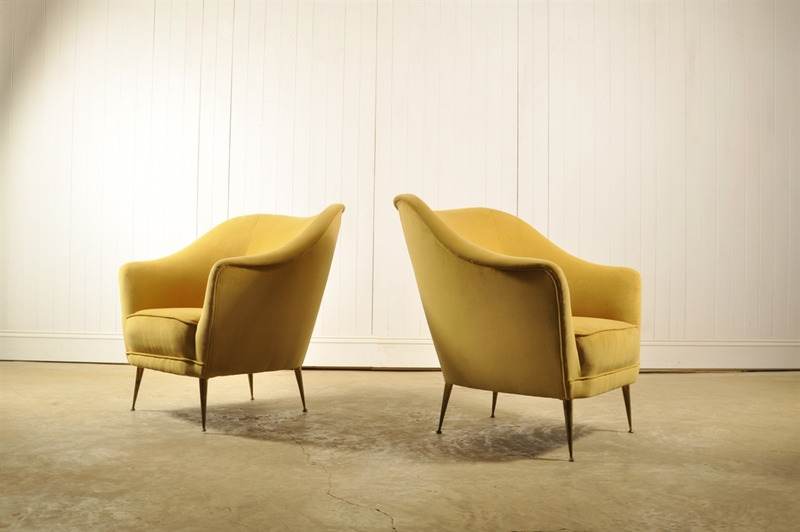 Circa 1950's this pair of armchairs were sourced in Italy. 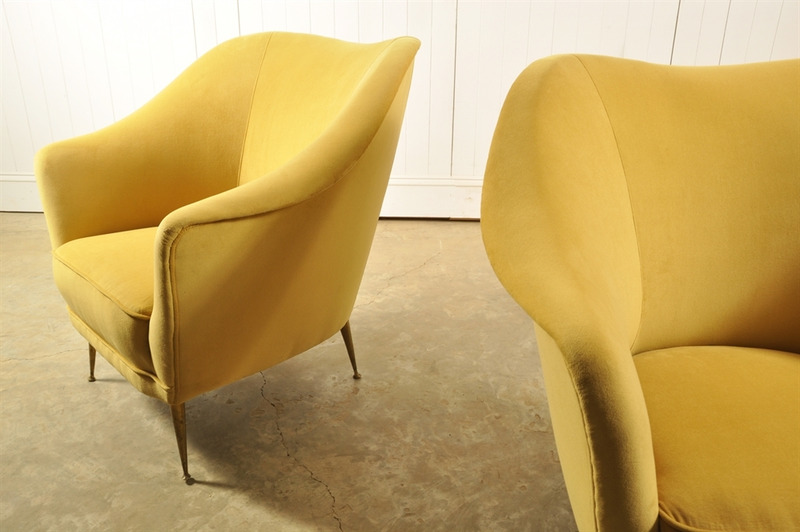 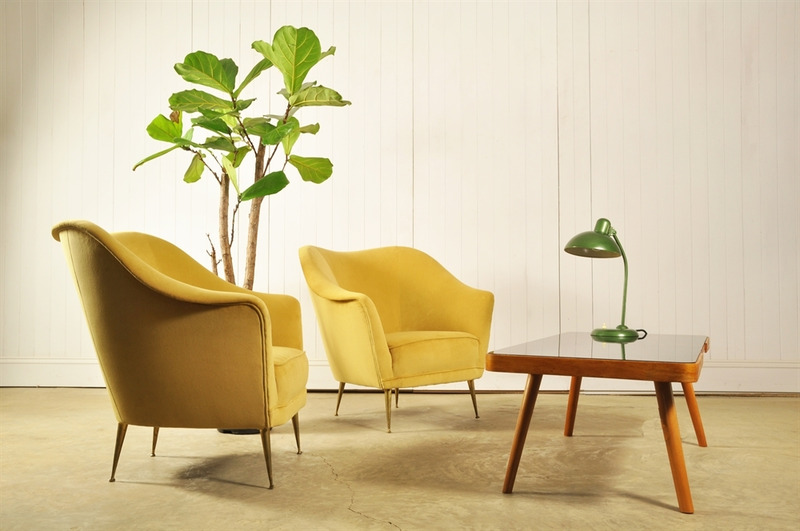 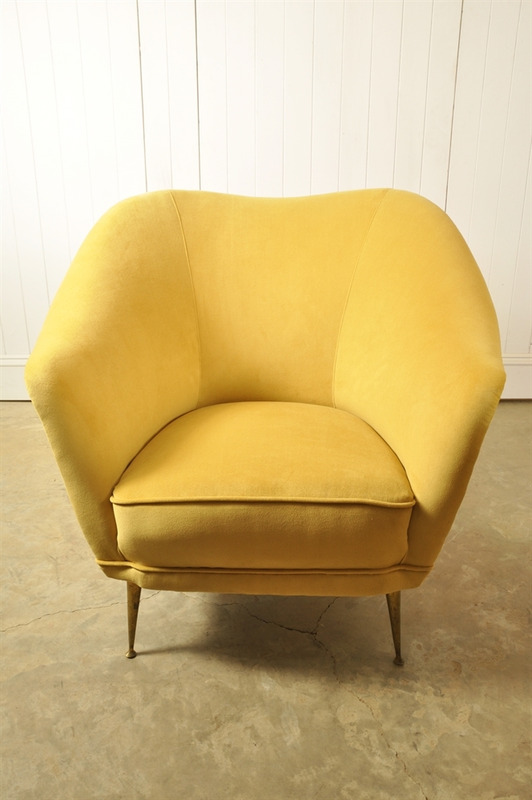 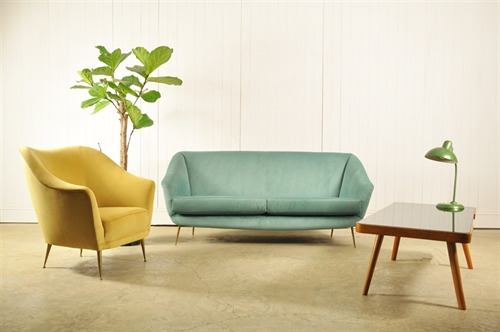 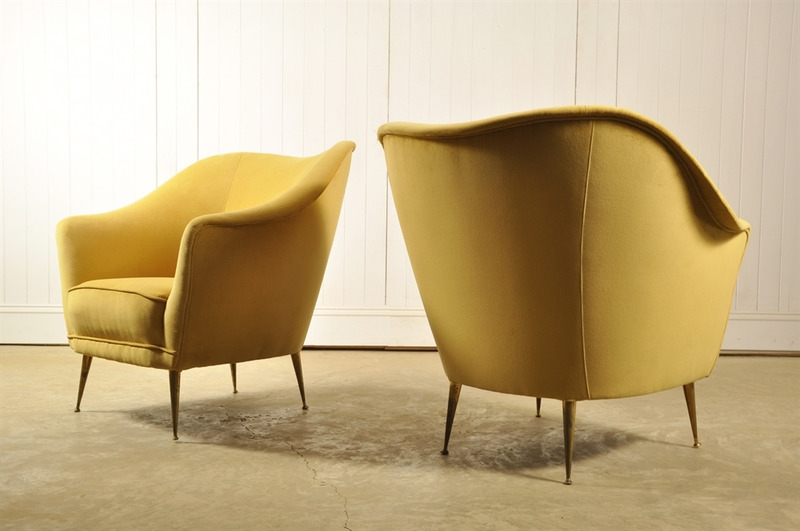 These have been fully re-upholstered in a mustard yellow cotton velvet. 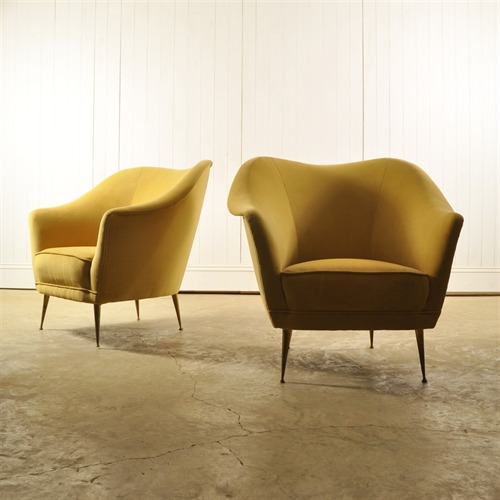 The colour is more of a subtle yellow, more Dijon than English Mustard - the legs are original in brass with some patina. 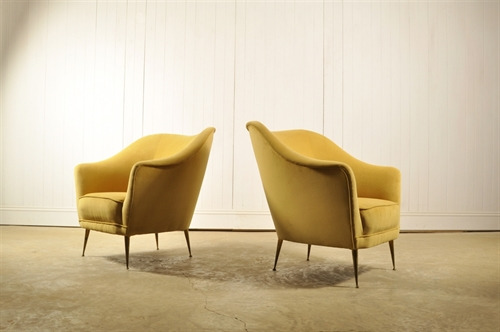 We love the more unusual beautiful shape of these. 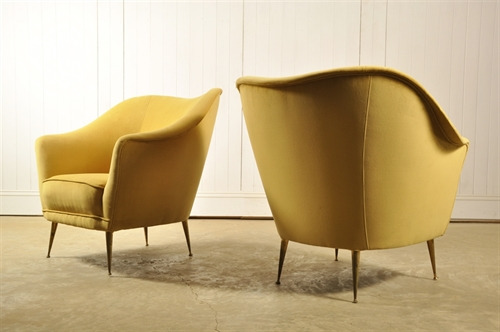 75 cm h ( 439h to seat ) x 85 w x 79 d.